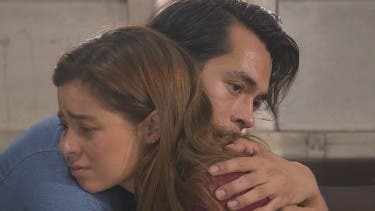 Jake Cuenca, Arci Muñoz, and Andi Eigenmann will star on ABS-CBN's "Maalaala Mo Kaya" this Saturday (February 7). 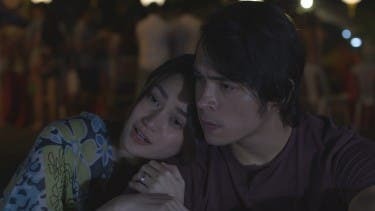 Jake will play the character of Marvin, a guy who continues to long for his first love, Lara (to played by Arci), despite having his own family with his wife, Dianne (to played by Andi). How deep is one’s love that it cannot be forgotten? How far can a wife stand living with a man who cannot give his whole heart to her? Also part of the upcoming “MMK” episode are CJ Navato, Bugoy Cariño, Mika Dela Cruz, Andrea Brillantes, Miko Raval, Denise Aguilar, Carla Guevarra, AJ Muhlach, Lemuel Pelayo, and Zara Richards. It is directed by Gary Fernando and written by Joan Habana. Don’t miss the longest-running drama anthology in Asia, “MMK,” every Saturday, 7:15PM, after “Home Sweetie Home” on ABS-CBN. For more updates, log on to MMK.abs-cbn.com, follow @MMKOfficial on Twitter, and “like”Facebook.com/MMKOfficial. Tweet your thoughts about this Saturday’s episode by using the hashtag #MMKClosure. Meanwhile, viewers may also catch up on full episodes and past episodes of “MMK” through ABS-CBNmobile. For more information, please go to www.abscbnmobile.com.